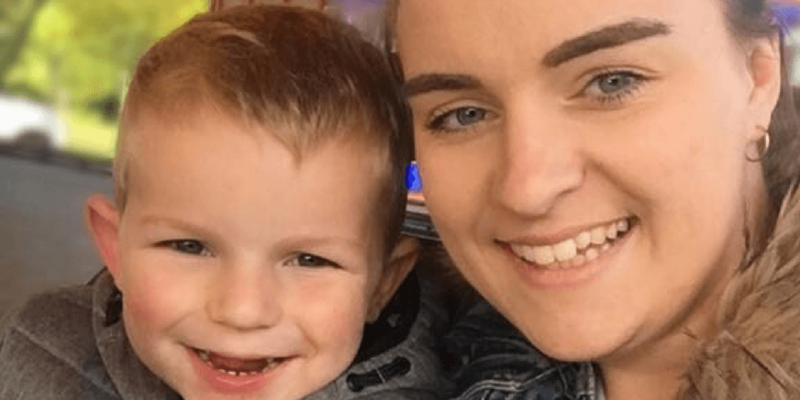 Young mum at 20, Sarah, has written about her experience of anxiety after giving birth to her son, Leo. I was so excited to be having a baby, someone I could watch grow up and turn into a confident young adult. Of course, I had things running through my mind where I was worried about telling my parents and family,’ will I make a good mum?’ ‘Can I give my baby everything I want to?’ The truth was I didn’t know the answer to any of these until I was able to try, which was the moment I had my world placed into my arms, ‘my little boy’.After having Leo, I was so excited to show him off and my worries were going. I adapted to motherhood in an instant and always did my best by him. I just couldn’t believe I had created this little miracle! It wasn’t the best relationship, I was doing most of the work on my own and we were always arguing. I didn’t want to end the relationship as I wanted a family for Leo but was this ever going to work? I became really unhappy and was really self-conscious. I didn’t like myself or what I saw in the mirror. This didn’t help how I was feeling at all or my mental health. My anxiety came on strong and I felt trapped! After many arguments and mental and physical abuse I ended the relationship. My health was at rock bottom! I felt alone and trapped like I would never be better and some days I didn’t even want to get up. I was scared of what might happen always worrying and overthinking about everything and something and this was only making me worse. I felt like I couldn’t be a good parent when I was like this and sometimes thought Leo would be better off if he didn’t have me as his mum. My emotions were all over the place, I would be crying and then I’d be really frustrated and angry but didn’t always know why. It was like I wasn’t normal and I certainly didn’t feel normal, which also wasn’t helping how I felt. I was on tablets for my anxiety but they weren’t helping so I went back and spoke to my doctor to which he changed what I was taking. I’ve been on a few different ones and didn’t think anything was going to help me but its finding the right one for you. You have to treasure those that care and want to help you as it’s not easy trying to deal with it on your own. I felt like I had no-one but I did and I had to try my best to talk to them about how I was doing and go to them for help even more so on my bad days. There will be bad days and good days but never feel like you’re on your own as there’s always someone there for you to talk to. Its best to get professional help and don’t feel embarrassed! So many people are dealing with mental health just not everyone talks about it. So many people hide it well when they are around people but behind closed doors they are a different person that’s broken inside. Always go with your instincts! A mother knows best! You can hear more from other young parents who have experienced mental health issues, here. Having a mental health condition such as anxiety or depression can make the day-to-day challenges of being pregnant or being a parent a lot more difficult. Take a look at our mental health support and advice page for more information and signposting to organisations that can help.